A licensed realtor, Deb Eberline enjoys helping people find their dream home. Deb's extensive knowledge of Northwest Chicago as well as NW Suburbs makes her an invaluable asset when looking to buy or sell a home. As a hands-on broker, Deb offers a personalized service for her clients "who she considers partners" and is dedicated to protecting their best interests throughout the entire home buying or selling process. 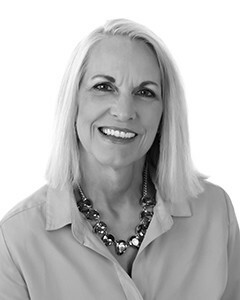 Deb brings a dedicated and unique approach to real estate as she is licensed in 2 states and has a son who is an architect in Oak Park and a daughter who is a licensed realtor servicing the city of Chicago; Deb has been privy to multiple facets of the real estate industry beginning in 2005. Her exemplary communication, organization and relationship building skills, including her adeptness at multitasking, allows Deb to expertly navigate what can sometimes be stressful negotiations for buyers and sellers alike all the while keeping her clients best interests at heart. Deb is a wife, mother of 4 grown children and the Mimi of 7 little's! "I would not hesitate to recommend Deb for anyone wanting to buy or sell a home. She helped our family buy a house a few years ago and did a great job in difficult circumstances. A good person and a good realtor."